In 2008, a city initiative rolled out that created a nocturnal, multigenre arts festival to illuminate downtown San Antonio. 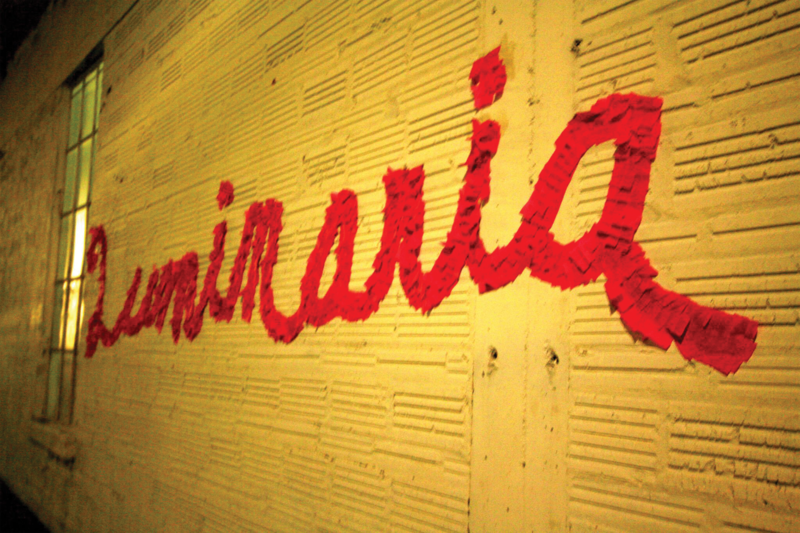 Today, the Luminaria Arts Festival is a non-profit organization committed to advancing contemporary art in San Antonio. 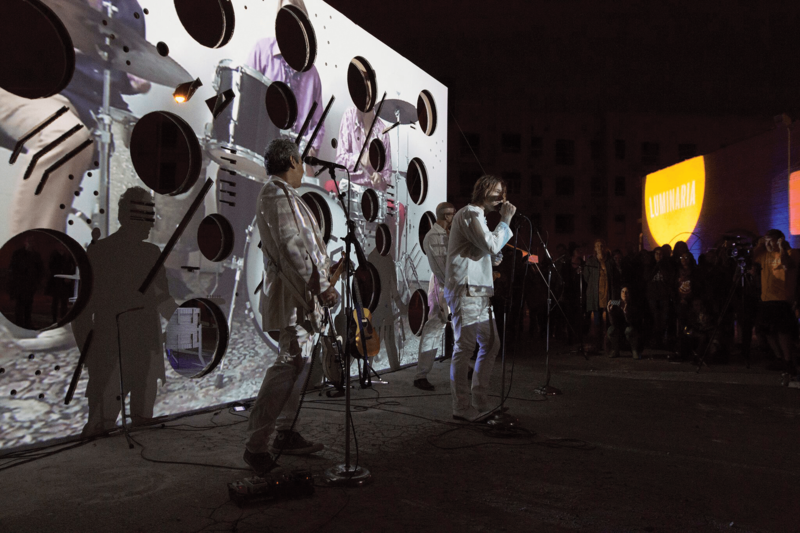 Since Luminaria’s inception, the annual festival has served as a platform for artists of all mediums to showcase their new contemporary works in public. For 11 years, the event has enriched San Antonio’s art scene by giving a free festival for the public to enjoy and extract inspiration. This year, the event is anticipating a once-in-a-lifetime buzz of creativity as the city basks in its tricentennial celebration. The 52 artists showcasing their work have been asked to consider San Antonio’s 300 year history. The festival is certainly showing no signs of restricting any mediums as the event includes film screenings, dance theatres, poetry readings, musicians and visual arts galleries. Despite these various genres, attendees can expect at least one common theme as they enter the festival — unapologetically new ideas. Buttercup at a past Luminaria. Another promising showcase, Remedios Sagrados, is a visual arts exhibition curated by Suzy González. González’s work explores the concept of indigenous ancestry focalized through indigenous foods and cultural spirituality. 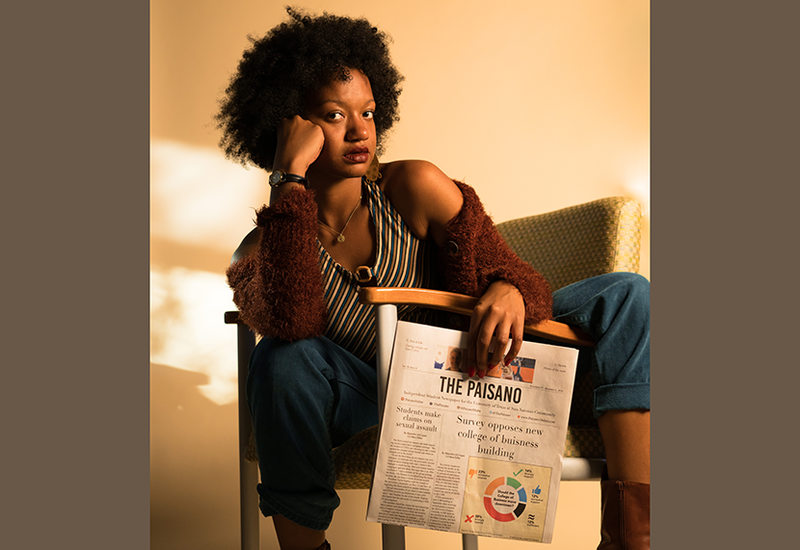 The exhibition touches on topics such as the complexity of cultural identity and history in light of San Antonio’s tricentennial. Anna De Luna’s anticipated multimedia theatrical performance, Mojada, is inspired by her mother’s migration from Mexico and will include interpretive movement, original video, bilingual storytelling and a live guitar performance. De Luna is a San Antonio native and her visceral and interpretive work will be performed at the Mexican Cultural Institute at 9 p.m.
Not only will the festival feature artists from vastly different backgrounds and trades, but for the first time the event is also hosting an opportunity for ametuer artists to briefly showcase their work in an open stage and open gallery setting. Ameteur artists who want to take advantage of this opportunity are encouraged to showcase one San Antonio-themed performance or artwork. On Saturday from 10 a.m. to 2 p.m., visual artists need to bring their work to the open gallery, and performers will need to report to the open stage. All work must be original and artists will be chosen on a first-come basis. An estimated 20,000 people attended last year’s event. This year’s attendance is expected to surpass last year’s numbers. Luminaria will take place at Hemisfair Park on Saturday, Nov. 10, from 7 p.m. to 12 a.m. The event is free to the public. For more information about Luminaria and the events, visit luminariasa.org.